A total of 380 color and duotone plates provide quite an extraordinary and intimate chronicle of the band's path from local unknowns to legendary superstars and the photographer's own development as an artist, documenting the public and private face of the band, the long-standing friendship between Bono, The Edge, Adam Clayton, Larry Mullen and Corbijn, the ways in which they. provided mutual inspiration, while shedding one image for another in a process of ongoing self-transformation. The oldest photo dates back to 1982 and was taken in New Orleans; the more recent one was spot in Lisbon in 2004 for "How To Dismantle An Atomic Bomb", the new U2 album. In this way, their shared experience itself becomes a part of photo-history. Corbijn has added handwritten notes as picture captions, thus also ensuring the book is a highly readable document of his personal memories, giving it the feel of a private album. 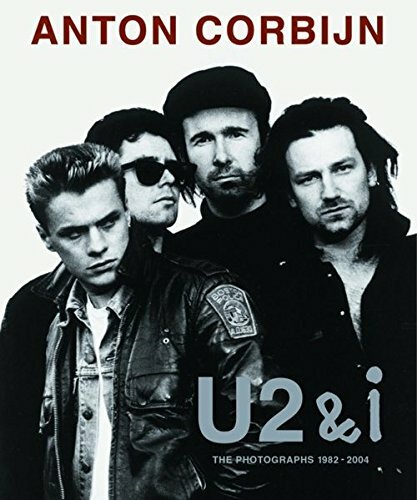 By way of introduction, the book features Anton Corbijn and Bono interviewing each other, humorously reviewing their ,joint history and offering many a minor anecdote on their long-standing friendship and collaboration. Réédition du best-seller d'Anton Corbijn en format compact. De 1982 à 2004, du statut de groupe local à celui de légendes du rock, ce livre est une chronique en images de vingt-deux ans d'amitié entre le photographe hollandais et le groupe de rock irlandais. Indispensable pour les fans. 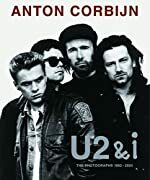 Ever since 1982, in other words for over 22 years now, Dutch star photographer Anton Corbijn has been one of the creative minds accompanying the inexorable rise of Irish rock group U2 to the status of the world's greatest rock band. It has been an ultra,-special symbiotic relationship that in terms of continuity and loyalty flies in the face of today's trend to prioritize short-lived links. Moreover, it is quite unique in the music world, because hardly any other photographer has remained true to a band over such a lengthy period of lime - and vice versa. Anton Corbijn more or Yens "invented" U2's image as a band, and even today he continues to play a strong part in defining it. Behind the scenes, with camera in band; he has followed the band's constantly growing fame and success, preserving for posterity the key moments in their career in the form of his characteristically Corbijn photographs. Now Anton Corbijn is dedicating a major photo-book to his collaboration with the band, choosing for it the telling title U2&i. It is a superb book and will no doubt drive any sincere U2 fan into paroxysms of joy.